Custom fabricated graphic overlays that are ideally suited for OEMs who want to private label products without modifying their housing or chassis are being introduced by Nameplates For Industry, Inc. of New Bedford, Massachusetts. NFi Graphic Overlays are highly durable and feature subsurface printing to protect the images and data from wear caused by abrasion, chemicals, and weather and can incorporate many different features and finishes. Making private labeling easy and economical, OEMs can simply integrate different window openings to expose LEDs, LCDs, and switches or cover unused devices; all without any modification to their equipment or instrument housing. 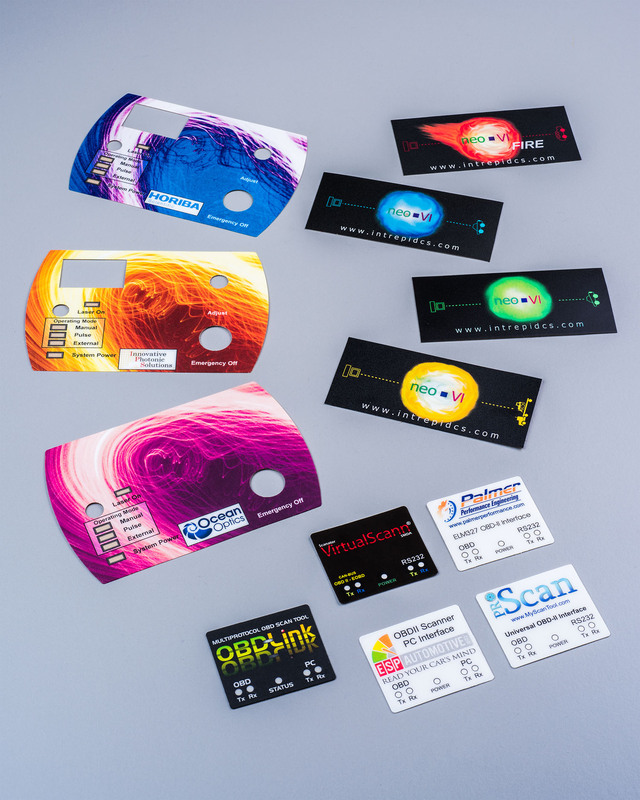 Ideal for manufacturers of industrial, medical, and laboratory instruments, NFi Graphic Overlays can be made from Mylar® (polyester) or Lexan® (polycar- bonate) and zoned adhesive combinations to provide optimum characteristics such as solvent-, weather-, and hardcoating for abrasion-resistance. Avail-able 0.005” to 0.030” thick, they can include full-color printing, windows, matte or glossy finishes, embossing, and selective surface texturing. NFi Graphic Overlays are priced according to construction and quantity. Price quotations and custom samples are available upon request.